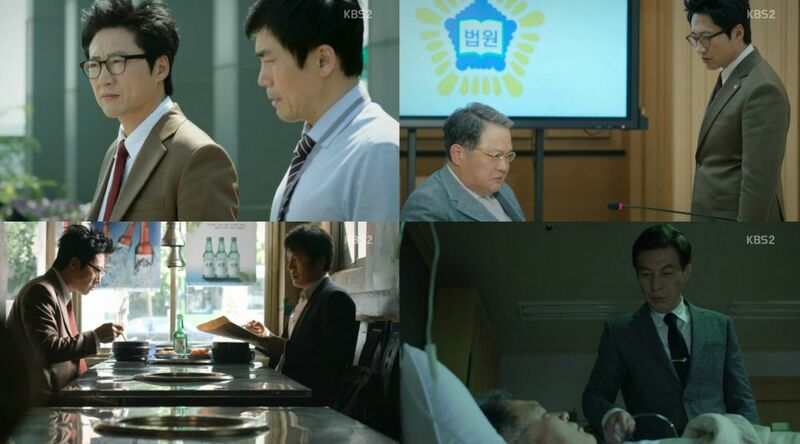 The case against Chairman Jeong Geun-mo is reaching a climax as his accomplices are cornered and his secrets are revealed. Some of our characters choose their sides clearly, others continue to be a mystery. Deul-ho is not above gloating, but he knows better than to trust an easy win. The more you back someone into a corner, the more they and those who can go down with them will lash out. The Power King case pushes a lot of characters to action and Hae-kyeong's (Park Sol-mi) true motives are revealed with the conclusion of it. It seems the past really did go as we witnessed and she betrayed Deul-ho (Park Shin-yang) as a colleague and as family. However, the Hae-kyeong of today has matured. Her wish is to be the person she admired in Deul-ho and place ethics first. Sin-woo (Kang Shin-il) is different. He adapts to survive, not for any noble purpose such as justice.